Wow, that was quick. Meaning 2018, that came and went at the speed of sound. It’s only now we’ve realized that there was a lot of news and we simply didn’t have time to share it in a proper way. So this post is about everything you won’t find scrolling down our blog (apart from the things that are truly worth mentioning twice). Xmas wishes @piercebrosnanofficial style! 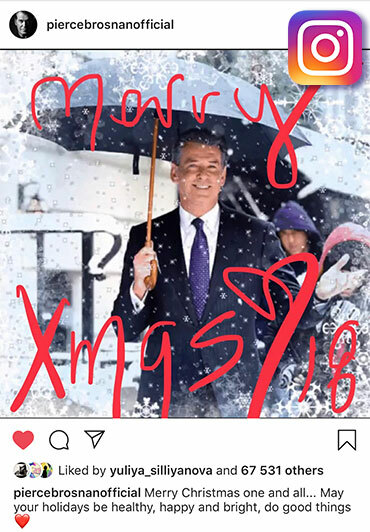 Of all men in the world James Bond Agent 007 actor is definitely a role model, so we are proud to be the app he used to create this fun and snowy greeting card for his Instagram Christmas wishes. D’you know how many effect ideas live in our creative minds? LOTS of! Including those, you submit to us via our support team. 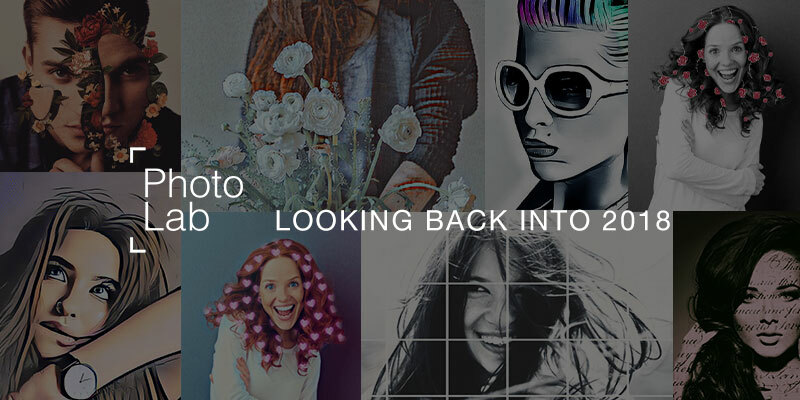 The only reason why we linger to implement them is the lack of technologies that would take them out of Photoshop and bring them to you in Photo Lab. Good news is our R&D team never sleeps, providing the designers with more tools and opportunities month after month. One of the recent updates has resulted in head and body animations that include “Rock Your Head”, “Pulling the Strings” and highly popular “Parallax Beating” effects. Though the skin detection technology itself had first been released in Photo Lab before Christmas 2017, the algorithm was totally reworked for better non-facial areas segmentation in Autumn 2018. And considering how much you loved the “A Wee Bit Wicked” template on Halloween, our effort has paid off without a doubt. By the way, did you know that besides our pre-set styles you can customize your skin the way you want? When you think Photo Lab can’t get even smarter, a new idea is born in our heads. 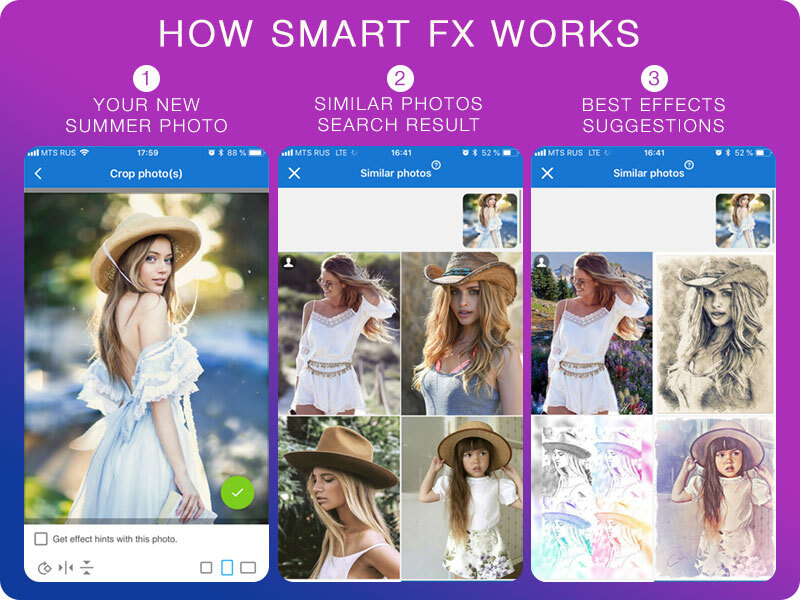 In Summer we introduced an AI-driven “Smart FX” tab, aimed at serving you a shortlist of the best effects for a photo. The most important thing is that suggestions are based exactly on your photo content so you can be sure that only relevant effects will show up in the list. We wish hair dying in real life could be as easy as applying our makeover effects. 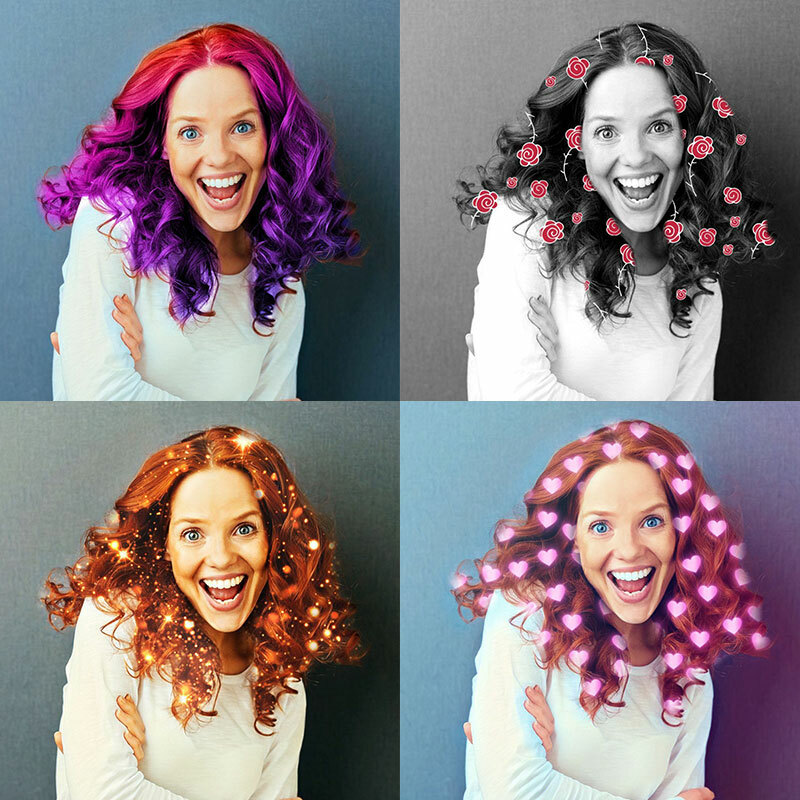 Fuchsia, blue, emerald, rainbow, red are just several color options, but there’s more to that as you can make you hair sparkle, or decorate it with flowers, or… Actually, you can do whatever you want using the free-style effect. 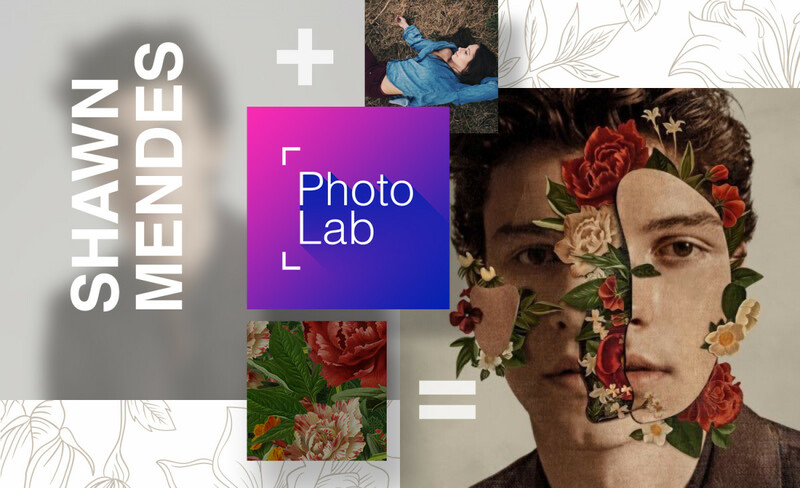 What’s the use of being modest when one of your effects inspired the Shawn Mendes album art? Have a look at the artwork below and learn more from the devoted post if you are after more details. 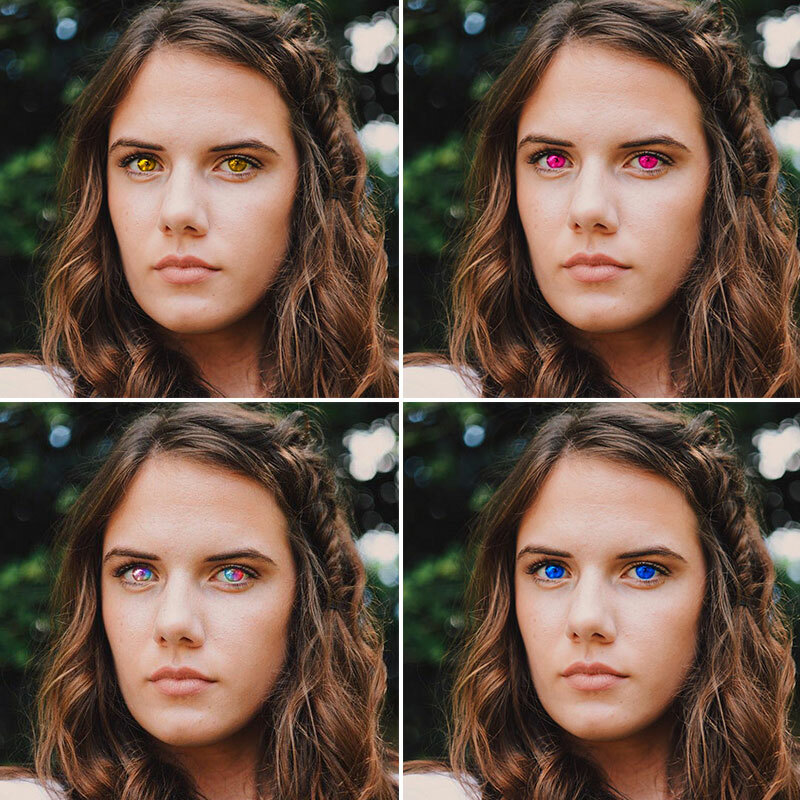 New eye color every day! It’s easy as pie. At least in a photo. Especially for the Photo Lab users. All popular colors and some mystical options are in stock. Next Next post: Love is in the air! Wait… Love is in Photo Lab!